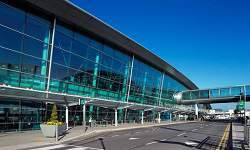 Cheap car hire Dublin Airport (DUB). Compare Dublin city and airport car rental rates. 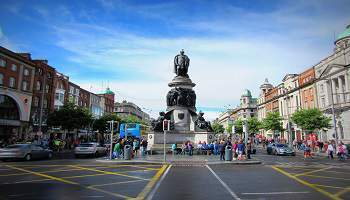 With an average population of 1,345,402 Dublin is well known for being the largest and the capital city of Southern Ireland, in the province of Leinster. Dublin dates back to the second century and was settled by Norman Vikings. 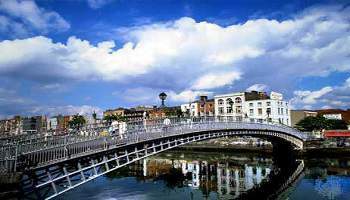 Dublin lies on the east coast of Ireland and sits on the river Liffey. This fascinating city has a historic relationship with literature and many famous writers (including James Joyce and Oscar Wilde) who were born here. 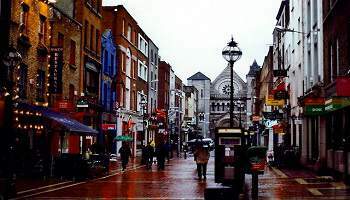 There is a popular theatre district that houses the Gaiety Theatre and places like The Abbey and Olympia Theatre. 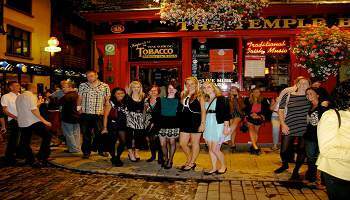 Dublin, like Ireland, is also famous for its cheerful nightlife. 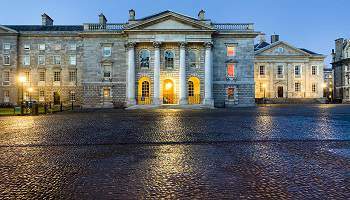 Drive through Dublin in your rental car provided by the large range of car hire companies (including Alamo, Enterprise, AVIS, Budget, Dooley, Keddy, Europcar, Sixt and Flizz) to find what the cordial cosmopolitan city has to offer. Get to this capital city from Belfast by a renting a car provided by the companies above, you must safely exit the A12 from M1 and A12. If driving from somewhere within the South like Cork, the cheapest route to take would be the M8 or getting off at the third exit of the N6 would be more efficient for someone travelling from Galway. Other than Jameson Whiskey, Guinness stout is one of the most iconic Irish alcoholic beverages. 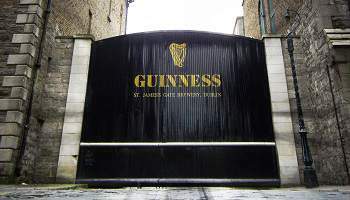 You have an opportunity to discover the origins of Guinness and the development of the Guiness brewery. At the end of the enlightening tour, you can relish the experience with a complimentary pint of Guinness. Travel down Grafton street to explore the admirable shopping street. This district offers a tremendous range of stores from boutique-styled stores to upscale stores. To add to the guaranteed fun, the different and talented street performers are found all along the street. Why not brighten your day with a few tricks made by 'statutes' or singers creating a pleasant atmosphere to add to your stroll around Grafton street. To find this old prison you can take a short three kilometre drive in your hire car from Dublin City Centre tosee the historically interesting building. This building constructed in 1786 after a movement made by John Howard, encouraging prisoners to have a more decent atmosphere due to many prisoners being held ina cell together. In the late 1850s the east wing had been replaced, and the new skylight was thought to inspire prisoners. Whist the ground below four floors of cells was allegedly made for 'dark' and 'solitary confinement'. You must stop by the Dublin Science Gallery, to see what new exhibitions are intact due to their non-permanent collections which differs when compared to other Science Galleries. This gallery is an interactive facility where Science fuses with Art to see the potential outcome of the creative mind. Before putting on your thinking caps and making your way down theNaughton Institute, Pearse St, Dublin2, Ireland in your new rental cars you should be aware that the gallery is closed on Mondays.